Despite we the gameplay has a higher priority for us, we also want the game to look attractive. After all, when you see something you can believe in, you feel more connected to what happens in the game, to your footballers, and to your team. Thus, the graphics support the emotions. Therefore, two years ago we created our very powerful Faces editor. Therefore, one year ago, we created the animations of goal celebrations (which allowed us to show the faces closer). And therefore, the last few months we have been working on creating beautiful grass. There are still some problems to be solved. For example, the grass is not very correctly displayed on the kick off and penalties. Anyway, now, playing in beta, you can forget about the blurred green texture, which was just ugly. And most importantly, when we add such features, we do it as a part of some bigger plan. For example, we want you to be able to watch replays, control the camera freely so that you can feel your players better. Creating faces was the first step to this. Creating 3D grass was the second one. Thanks to your support, we will continue moving forward in making the great football experience which no other game provides. 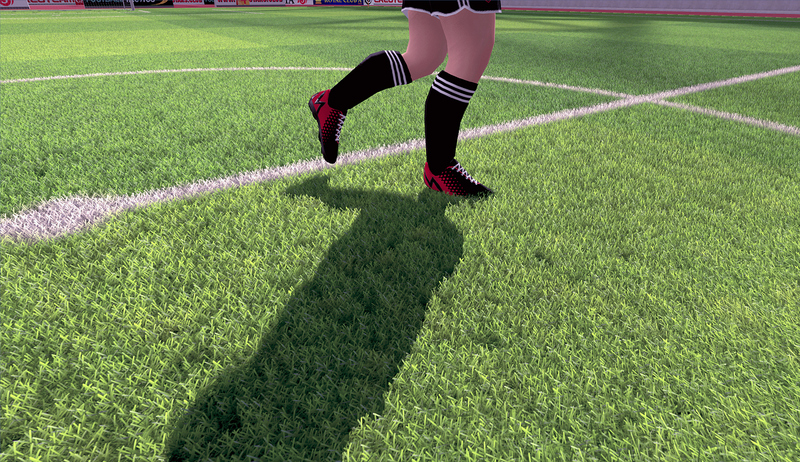 Now, you can see realistic grass when the camera moves closer to the pitch. Depending on the weather and the level of the stadium, the pitch will be either beautiful, dirty or snowy. We are aware that some players play on weak computers. Therefore, we have provided an option to disable 3D grass. The picture will look much worse, but better than it was all the time before. - In most cases, the colours of the grass will differ from the grass you see at a great distance. - During the kick off the grass looks blurry. 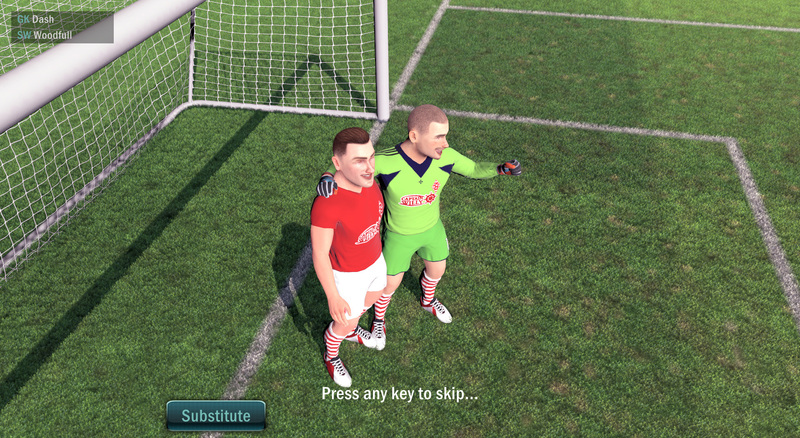 - During the penalty, interface elements intersect the goalkeeper. Also, the grass is blurry. All of these problems will be fixed in further beta updates. Fixed the crash when a player created more than 20 teams in a league. Removed the possibility to create an odd number of the teams in a league. Fixed the problem which made the Team Editor show the default faces of the selected country instead of the custom set of faces. Fixed the bug which sometimes affected the AI to return to the default defensive position and therefore to open the space for the opponent's Cannon Shot. Added new set of sounds for testing purposes. They are not final. Thanks devs! Been keeping an eye on this as I like football management and turn based RPG's and tactics games. This looks like an ideal marriage of the genres! A few more updates and I'll definitely jump in and recommend it to friends. Only after turning of the Beta into the Default version, we will be able to move further on gameplay features. > Can we await this year some improvements on AI or better an MP ? We are a tine team. Therefore, every tiny improvement takes time. So we usually make ane improvement at one moment. Last, year, the game was launched. We wanted the launched game is to be as interesting and deep as possible, so we were adding new gameplay features by sacrificing graphics and editing possibilities. We wanted them to be added in the launched game but we weren't able to make them. We wanted the pitches were beautiful, not that blurred texture. We wanted players to be able to create realistic leagues, not just edit names, logotypes and kits. Instead, we worked on gameplay. However, now, when the game is already launched, we can return the debt by implementing the features which were planned. Can we await this year some improvements on AI or better an MP ? @Hoplite39 yeah, early there was a loud whistle which only was used at the end of the half. Now, it reacts to all important in-match situations. However, other sounds are still in the testing-and-development. I started playing this morning without knowing of the update and noticed chsnges immediately. The pitch looked more vibrant and I could clearly hear the referees whistle, which I hadn't noticed so much. I also noticed the ticker sounds for XP was different. I actually prefer the one from before the Winter update. But the current one is fine. * The last two of the final league 1 standings are directly relegated to league 2 by the first two league leaders who replace them. */ Set up a play-off system for the 18th. Спасибо за то, что продолжаете дорабатывать эту замечательную игру!